There are many reasons your ASC may struggle with its revenue cycle. Maybe changing payor policies and regulations are causing denials and slow reimbursements? Maybe your patients are not properly educated about their financial responsibility? Maybe you are falling behind on your claims follow-up? 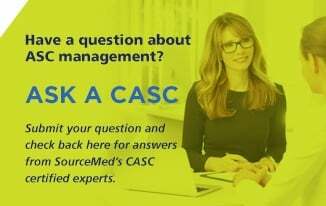 While one or more of these reasons might be true, my experience has shown me that the real cause of most problems with ASC revenue cycle management (RCM) is resources. Many of the ASCs I work with simply lack the resources necessary to give their revenue cycle the full attention it needs. If your ASC falls into this category, consider outsourcing your RCM to a consulting firm. By using RCM consulting, you can turn your revenue cycle into a fine-tuned machine that brings in the maximum appropriate reimbursements and improves the efficiency of your business office team. But what should you look for in a RCM consulting firm? In this post, I identify four qualities to put on your checklist to help ensure that you select the right RCM consulting firm for your ASC. Any good RCM consultant will always start with an assessment of your current RCM processes and come up with a plan for improvement. Your consultant should analyze every aspect of your revenue cycle by meeting with the experts that are in the processes every day, establish a baseline, discover the root cause of poor performance, prioritize issues, and develop a detailed strategy to optimize your processes. The strategy should include a strategic roadmap with targeted milestones. 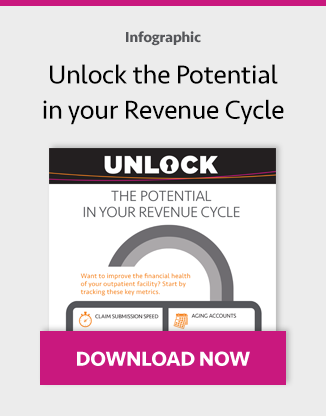 Once your revenue cycle is optimized, you need to keep it that way. Entropy will always prevail without constant attention, and the time spent to get your revenue cycle in order will be wasted. The RCM consulting firm you select should use a business intelligence tool to monitor the performance of scheduling, admissions, verification, charge capture, billing, follow-up/collections, payment posting and other key metrics to keep you on track. Additionally, the firm should monitor external factors that may affect your revenue cycle and adjust your processes accordingly. Increased pharmaceutical costs, insurance premium changes, coding changes, and healthcare legislation are just a few factors any good consultant should be on top of. When considering whether to make a substantial investment, nothing is more valuable than references. 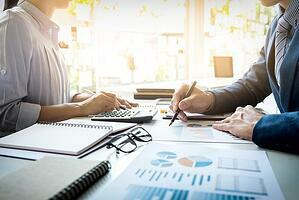 Your investment in a RCM consulting firm should be considered such an investment. You should never take a firm's word that it can do what it says it can do — and do it well. Ask the firm to provide contact information for several clients, particularly those in ASCs like yours (e.g., state, specialty(s)), and take the time to contact these clients and ask about their experience working with the firm.